The official weigh-ins for “UFC 173: Barao vs. Dillashaw” take place today inside MGM Grand Garden Arena in Las Vegas, Nevada. Stream Friday’s weight contest live right here on 5thRound.com starting at 7PM ET/4PM PT. 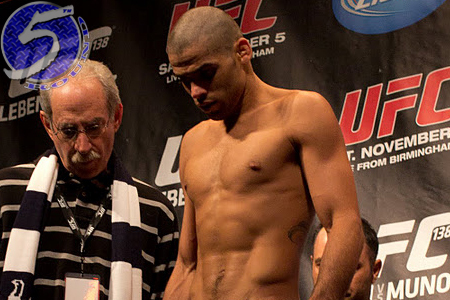 Bantamweight champion Renan Barao (pictured) defends his throne against TJ Dillashaw in Saturday’s main event. Light heavyweights Daniel Cormier and Dan Henderson battle in the co-featured attraction.